Huka Entertainment from New Orleans, Louisiana likes to boast about the success of their Hang-Out Festival on the warm beaches of Alabama. Warren Haynes and Government Mule played there last year, and Haynes told me backstage in Tokyo that he dug the southern vibe at Hang-Out. But Huka is trying to pull off a festival in a totally different climate and setting among the ice-capped mountains of Pemberton, British Columbia, about 160 kilometers north of Vancouver. Huka CEO A. J. Niland, who first visited the Pemberton area a few years ago, has told reporters about their investments in solving problems related to traffic, dust and toilets during rival firm Live Nation’s festival in Pemberton in 2008. This year’s newfangled version is a promising event with a stellar line-up including Soundgarden, NIN, Kendrick Lamar, Metric, OutKast, Gord Downie and many more. But nobody’s talking realistically about the weather, and it’s not clear if Niland and Huka managers from the southern US have ever camped in Canadian mountains. It’s also not clear if organizers have any strategies to deal with extreme mountain conditions that can change quickly and threaten the health of thousands of campers. A search of their website finds no warnings about weather, and Niland and his staff have not replied to multiple requests sent to their Twitter and email accounts. 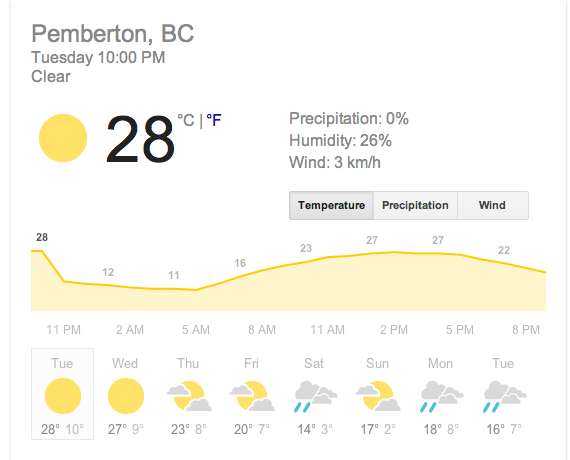 Weather forecasts vary for Pemberton this weekend. Some predict extreme heat above 30C, meaning sunstroke and water will be an issue, especially for thirsty ravers on ecstasy. A separate forecast calls for rain and lows of 2C Saturday night and Sunday morning — temperatures colder than many winter nights in Vancouver. Potentially, this could result in a nightmare scenario of thousands of drunk, high and exhausted people camping in winter conditions without proper clothing or sleeping bags, and no way to heat themselves. 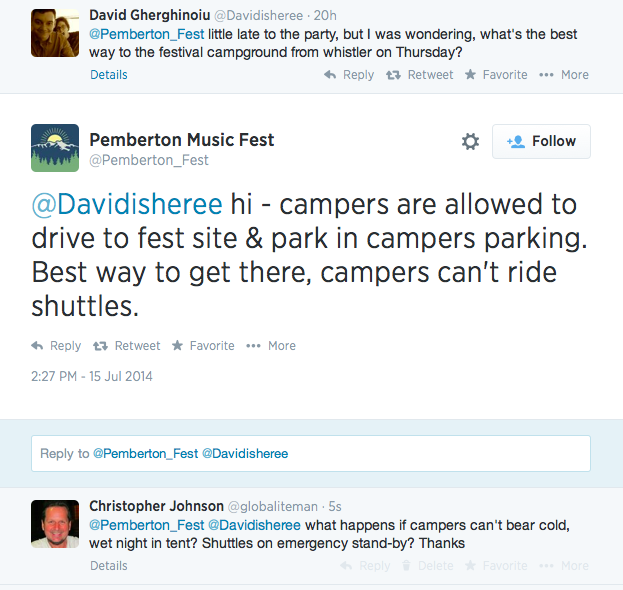 The festival’s official Twitter account is telling campers not to expect any electrical outlets or shuttle buses to take them to safety in case they are too drunk or high to drive their own vehicles. Fans are also not allowed to camp near their vehicles, meaning they might have long walks in cold rain to get to the shelter of their cars. The camp site will also have no electrical outlets or storage lockers. It’s not clear if organizers are setting up any structures to shelters thousands of people from cold rains which can cause hypothermia. This is no minor issue. A July typhoon at the first Fuji Rock Festival on the skirts of Mount Fuji caused multiple cases of hypothermia in 1997, and many victims were stranded on the mountain side with no way out — a terrifying feeling for people unable to warm themselves. Organizers cancelled the second day of the festival and lost millions of dollars. They later moved to their current site at the Naeba ski resort in Niigata, featuring a massive hotel and other ways to shelter people from extreme conditions. It’s now one of the most beloved festivals in the world. The village of Pemberton, population 2000, has only a hand-full of hotels, all fully booked. Niland told reporters he expected about 25,000 fans. Niland and other Huka staff have not replied to multiple requests sent to their email addresses and Twitter accounts. Some people are already questioning their organizational skills. Two days before the festival, this reporter and others did not receive any confirmation or rejection of requests for accreditation — which festivals usually provide weeks or months in advance. 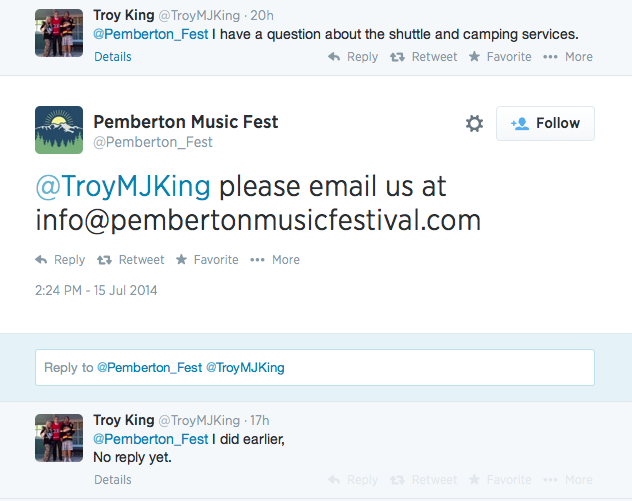 Several people on Twitter said organizers weren’t replying to their questions about camping and other matters. –if hosting a rock festival in rainy and snowy BC mountains is such a great idea, why aren’t Canadian festival organizers doing it? –do Huka managers, mostly from the southern US, have any practical experience dealing with winter conditions? –would the RCMP or another government agency shutdown the festival due to dangerous weather conditions? Tragedies have beset several festivals. –weeks later, a hailstorm at Pukkelpop in Belgium toppled trees and a stage, killing five and injuring over 140. –the Tulsa fire department cancelled a festival in 2011 after extreme heat and then rain. Winds damaged lighting gear for Flaming Lips. –nine people died of suffocation and compression of their chests in a packed crowd during a Pearl Jam show at Roskilde in Denmark in 2000. 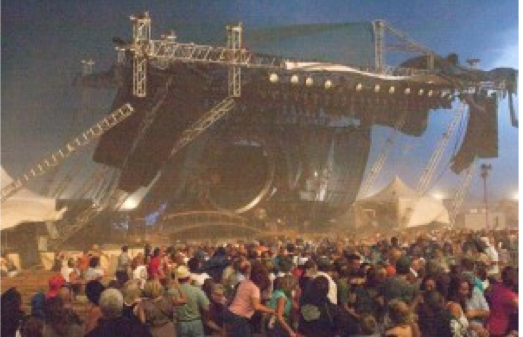 –a young man died from extreme heat at Bonnarroo in Tennessee in 2011, one of ten deaths at the festival since 2002. Despite the risk of incidents, Huka might be onto something good. 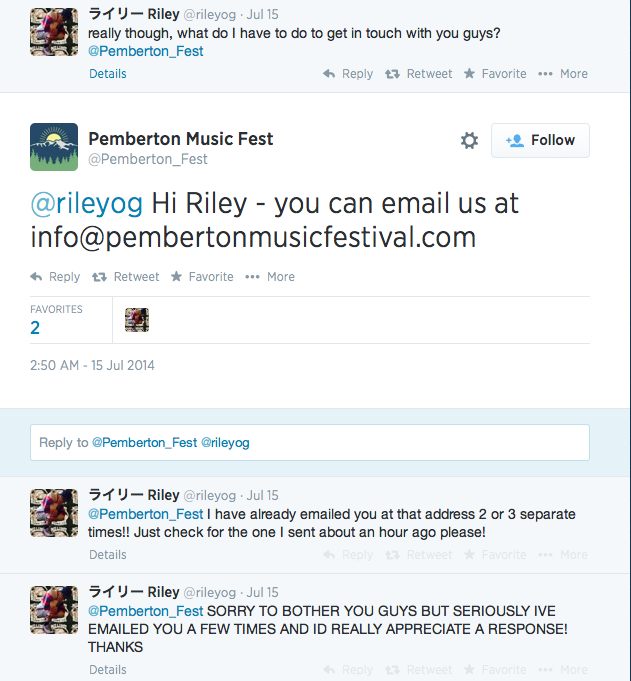 Thousands of music fans in western Canada certainly hope Pemberton will become the Coachella or Glastonbury of Canada. But much will depend on conditions out of Huka’s control, and how the Sam McGees from the Deep South deal with the realities of Canadian weather.